There is an art to writing and prosecuting a patent application. The CGO approach is to seek independent claims with broad coverage through careful drafting, aggressive prosecution, and strategic appeals; concurrently, we craft dependent claims that increase the likelihood that the uniqueness of your invention will stand the test of time. Litigation is a problem-solving tool – and not the most efficient one. Yet sometimes it is the best or only approach to a technology-related problem, whether it be patent, trade secret, trademark, or copyright related. When that happens, you want counsel that is both comfortable before a jury and fluent with intellectual property. The CGO approach is to establish realistic goals and focus on the issues that will make achieving those goals most likely. We are trial lawyers, not litigators. We have years of experience arguing a case to a jury and judge. Yet we know the business pressures you face and that sometimes, a good but early settlement beats a good jury verdict. The best way to position yourself for either result is to know how to try a case and to proceed along that path. You want a CGO trial lawyer, who understands your business and knows how to navigate a courtroom. CGO handles numerous cases for business owners across the country. Your name is your brand. It is what distinguishes you from your competitors and is the bridge that combines your identity with the special goods and services that you offer. It can make the difference between a sale of your product or services and those of your competitor. Let us help you to choose and use your name so that you can take full advantage of it – and prevent others from exploiting your success. In a post-grant proceeding, you ask the Patent Office to reconsider a decision. 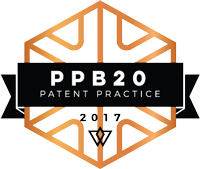 The most frequent of these proceedings is an inter partes review, a mix between patent prosecution and litigation. CGO brings years of daily experience with the Patent Office and combines it with fluency in the litigation process to increase your chances of success. It is difficult to stop infringement by a foreign company that imports product into the United States but does not have substantial domestic assets. Even if you succeed, the collection process is a nightmare. An ITC proceeding can stop infringing product from entering the US. The process moves quickly and can have serious consequences if not handled with care. CGO has been on both sides of an ITC proceeding and knows how to navigate its dangers and capitalize on its opportunities. You may want to take advantage of your intellectual property by allowing others to use it – for a price. Or, you may want to use another’s intellectual property rather than invent around or avoid it. In either case, you will want experienced eyes looking at the transaction to be sure that your licensing arrangement is both fair and advantageous. You have an idea. You think it is good. You may want to build a business around it. But has it been done before? Let us check. We have run countless patent and trademark searches to clear inventions. Or perhaps you want to buy a business but are not sure about the value of the intellectual property assets. Again, we can help. We have done due diligence on products ranging from jet engines to medical devices.